Pictures and Stories is a personal scrapbook for collecting impressions while traveling or enjoying home. 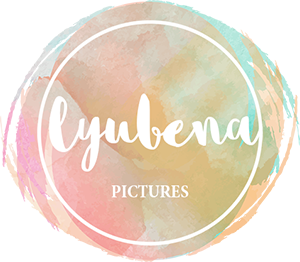 My name is Lyubena, pronounced [lü:bena], but everyone just calls me Lyu [lü:]. In the past five years, my husband (a wonderful Italian man) and I have lived in Budapest, Milan, Paris and since we February 2017 we reside in East Bay, California. We have the great happiness to be traveling for both work and leisure. One of my favourite things while traveling is photographing, meeting great new people and collecting urban legends. This blog is all about this. I have been waiting for these days my entire life: It is spring, I am in Paris and there is someone I love. Being a spotter for Milan for the brilliant Spotted by Locals I had the chance to share my favourite places in the city of Milan with locals and visitors for quite a while. For updated, interesting tips about Milan, go check Spotted by Locals/Milan. If you are looking for more hidden corners, check out my blog post on the hidden courtyards of via Borgonuovo! Since I recently moved to Paris, here I decided to make a last tribute to some of my ultimate favourites there. This is a collection of several shots I have taken around Trocadero in a wonderful January afternoon.